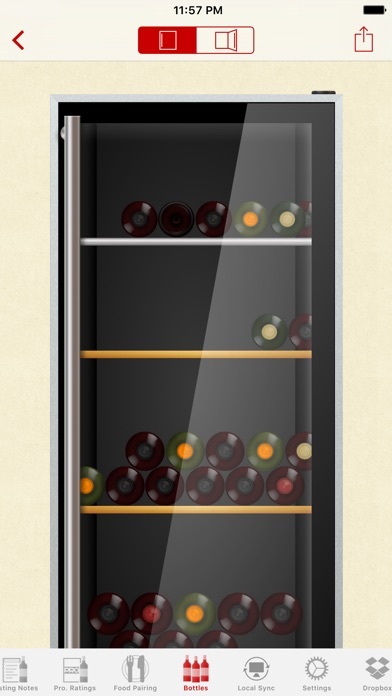 The coolest and trendiest wine and cellar management app for Phone/iPad. 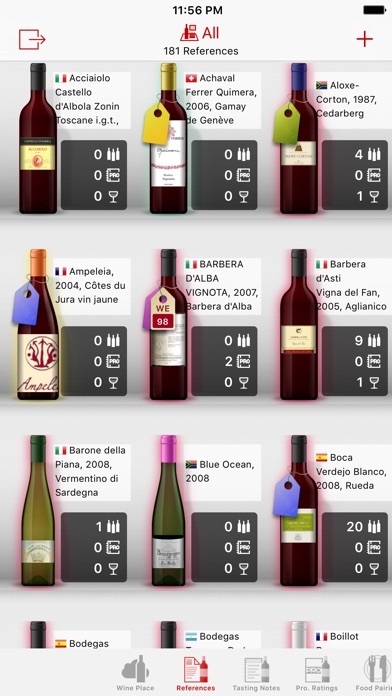 A review of all new features available on our website at http://www.vinotekasoft.com/vinotekatouchclassic3/ Vinoteka Touch is a unique application: state-of-art stand-alone app to manage wine references, bottles and virtually recreate your cellar/fridge. Simple, fun, elegant, easy to use and very intuitive, launchVinoteka Touch, customize it to make it your own and keep on discovering and mastering an ever-changing wine world. 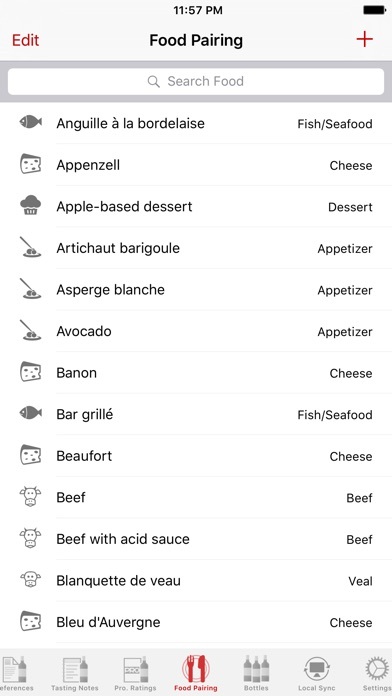 Thanks to its new features (appellations, countries, grapes, racks and shelf configurations, etc.) 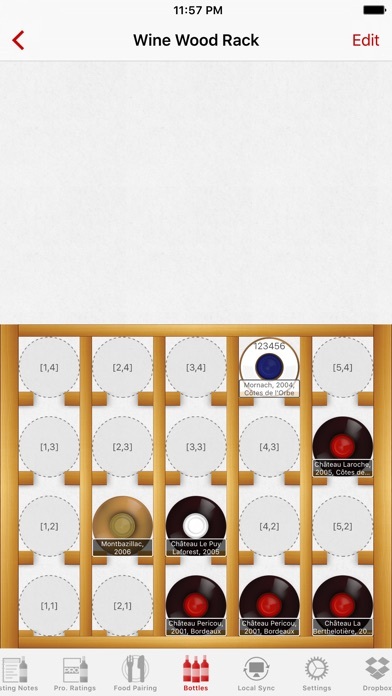 and brand-new interface, Vinoteka Touch will become indispensable must-have! Already using Vinoteka Mac and want to carry your wine data everywhere? Use Vinoteka Touch as a mobile companion thanks to the Sync feature and make sure you can overview and manage your data on the go. IMPORTANT: For the moment (it’ll soon change :)), Vinoteka Touch synchronises only with Vinoteka Mac. The synchronization between several licences of Vinoteka Touch (iPhone and iPad, 2 iPhones or 2 iPads) is currently not possible. Took a chance and paid the 8 bucks, even though there weren't any reviews. Don't waste your money like I did. This is a worthless app! The scan barcode function locks up and you have to restart it to do anything else. I added a bottle manually, which is not hard, but takes a few minutes. Once the bottle was added, it showed up as "not stored". I tapped on the bottle and options of things you could do with the bottle showed up, so I clicked on storage. There was no where to add a storage location, e.g. wine frig, just save or cancel. I would give this app a rating of zero, totally worthless!!! Scanning a barcode just freezes the entire app. Only bought it to upload data to the OSX version of the app. Waste of money. Where did the good version go. Been a user for 5 years. Was a little rough in the beginning then after a few upgrades and an attentive support group I felt it was working pretty well. The last year or so functions like image capture off the web stopped working and now all images are gone on the iPhone. All messages to support go unanswered. Not sure what this was supposed to fix, but there is still no sync with the Mac version so my app remains desperately empty on iPhone and iPad after over one year! Totally useless and still no answer whatsoever from the developer to emails or support requests. Time to move on to working apps. The App Store should remove this as it borders fraud. This is a sad end to what used to be a great app. I have been patiently waiting for an update to this application for almost a year only to be disappointed once again. I have the desktop version of their app and have been accustomed to long cycles between updates and this one is no different. However, this app delivers nothing. Finally they provide you a way to scan your bottles (it's about time) but don't plan on being able to use it because after scanning a bottle the application freezes and you are forced to kill it. What a waste. Save your money. This app is not worth it. Sadly Terrible. Time to Bail Out. I thoroughly enjoyed this app back in the day. How times change, though. The developer has gone silent, has stopped updating the app and no longer responds to requests for support. After more than a year of waiting, my entire wine cellar inventory is so out of date that it has to be abandoned, along with my paid-up license because there is no sync function with the Mac database. I recommend that we all vote with our feet and move over to the competition. It will take me as much time to update Vinoteka if it ever were to come back as it would take me to start over with a more dependable app. The app does not any support, too bad!